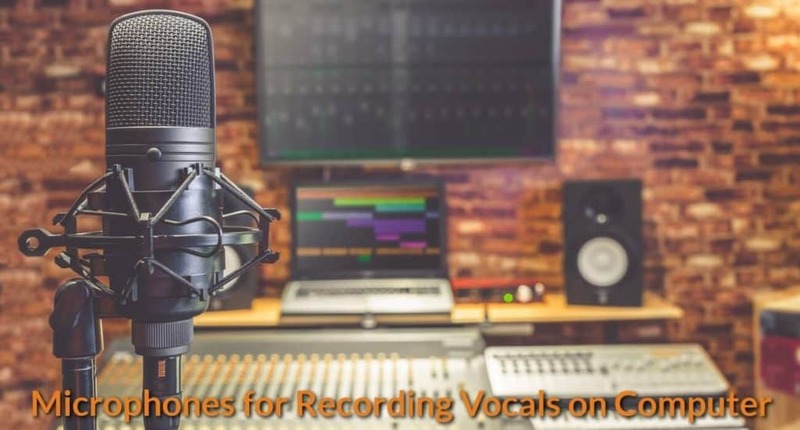 Microphones play a crucial role in the results of recording vocals on your computer, as such, you should carefully choose the microphones that you are going to use when recording vocals. 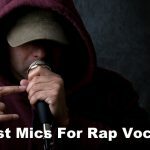 There is another possible category of mic—the USB Microphones, although not yet technically considered as a type of mic—this mic is worth taking note of. However, in this article, we are not going to discuss this kind of mics. The USB mics, of course, are easy to handle and use, especially, for beginners who want a plug-and-play microphone at their disposal. Moreover, this mic type is more affordable as compared to the XLR microphone. But its quality is deemed subpar to the qualities of the XLR mics. However, you can actually hook these USB mics to audio interface and preamp in order to optimize and improve its sound recording quality just like the XLR mic’s sound quality. 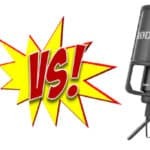 Should You Use USB Condenser Mic or Dynamic Mic? In short, there are two types of vocal microphones, namely: the condenser ones and the dynamic ones. Theoretically, the condenser microphones are more sensitive and are capable of greater frequency response. This type of microphones is mostly used in safe environments that are enclosed and free from many distractions. On the other hand, the dynamic ones are generally used in actual gigs and live concerts for they are more resilient and well-built. In fact, most USB microphones are condenser, as it’s more flexible in the audio pick-up pattern adjustment and it is very suitable for the beginners for many reasons. The Rode NT-USB is versatile and easy to use studio-quality USB microphone that is ideal for any type of recordings. But it is undoubtedly suitable for vocal recordings and other mainstream recordings. Its excellent design features a zero-latency 3.5mm headphone jack for monitoring the input of the microphone. It also comes with a premium pop-filter that readily fits into the microphone base, allowing you to position the filter at an ideal distance from the mic. This lets its users minimize the plosive sounds during recordings of vocals. The Rode NT-USB comes with a stand together with a 3/8″ thread, a pouch for storage, and a desktop tripod stand. It is a high-quality studio mic that comes with the convenience of a USB connectivity. This mic also allows you a direct mix control between the source output and mic input. It is also compatible with Apple iPad. It is primarily considered the “new-kid-on-the-block” when it comes to microphones for recording. Yet, it has already found a niche among microphone products that are considered to be of great quality. In fact, those who have owned and used this mic surely attest to the fact that this mic is the “holy grail” of the less expensive USB professional microphones. Quality-wise, this mic would surely give you a meaningful and transparent audio reproduction that you couldn’t help but appreciate. Hence, this mic is basically a good choice for vocal recordings. 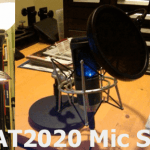 The Audio-Technica AT2020USBi basically contains everything you need to begin recording vocals. It is a condenser microphone with digital output for high-resolution recording. It comes with A/D converter with 24 bits/96 kHz sampling rate for higher sound quality and superb audio resolution. This one is a good entry ticket to the world of professional sound engineering for it surely has all the necessary qualities of a good mic for vocal recordings. It is undoubtedly solidly built to last longer in use. This Audio-Technica USB mic, however, is smaller in size as compared to other brands, though its design is basically good and at par with the designs of other popular mics. The gain control of this mic easily lets you adjust its input level. This mic also has a smooth extended frequency response that is suited for home-studio recording, podcasting, and field recording. The AT2020USBi also works perfectly with both lightning cable and USB cable. Hence, you can readily use it right from the box to digitally capture vocals on your computer. What can we say about the Blue Microphones Yeti? 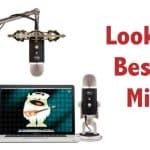 The Blue Microphones brand is popular among YouTubers and gamers as well as amateur musicians and podcasters. It’s more catered for the home studio users. It will suit you if you are more vocal and music recordings. It is packed with awesome features that you would love to have in a mic. It has a gain knob, for example, at its backside. It also has a knob for selecting a pickup pattern among cardioid, bidirectional, stereo, or omnidirectional. At its front side, you’ll see a mute button together with the volume control that you can readily use while monitoring. The stylish design of this microphone and its physical aspect is worth commenting because of the tremendous practical features it presents. It also features three condenser capsules that allow you to record almost anything. Its design likewise is hassle-free. Moreover, it comes with a microphone and full-sized studio headphone filter. It also features gain control, mute button, and zero-latency headphone output. It is plug-and-play; hence, it is very compatible with PC and Mac. What else would you ask for if you have the Yeti Blue Microphone? It is perfect for whatever recording use you intend to use it. 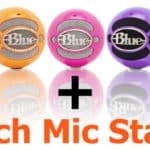 The Blue Snowball iCE is a condenser capsule microphone that offers great crystal clear audio for Skype and other general vocal recording usages. It is good for recording vocals, creating podcasts, and voice-over recordings. Its frequency response ranges from 40Hz to 18kHz. It is easy to plug to your Mac or PC and requires no installation of drivers. This mic is popularly used by podcast users. It is also used mostly in amateur talk-shows. It is relatively produces the sounds that you would get from the previously mentioned mic brands. Yet, this mic is very convenient to use, especially, if you are just new in vocal recordings. Moreover, it comes with basically everything you need to begin your vocals recording. This mic seems to struggle, however, when it comes to programs that make use of voice activation for it appears to be less capable of isolating background noises, especially, if you have the mic at arm’s length. But this little complaint about the Blue Mic Snowball iCE is inconsequential, especially, if you would consider its ease of use and the amount of convenience it offers. This model is a high-quality dynamic microphone that comes with XLR and USB I/O outputs. This mic basically meets both analog and digital vocal reproduction requirements, and it comes in a very convenient package, together with its accessories. The Q2U dynamic handheld microphone is ideal for use in the recording studios. It features a cardioid (unidirectional) polar pattern with high-quality A/D converter and the sampling rate of 16-bit 48kHz. Its frequency response ranges from 50Hz to 15 kHz which ensures users a good and detailed capture of sounds. It is definitely compatible with most or all computer-based digital audio workstations. With the use of this mic, you can easily develop and enhance the recording of vocals. The Samson Q2U is easy to set up and can be directly connected to your computer. Lastly, it comes complete with all the things that you need to begin the recording of vocals.